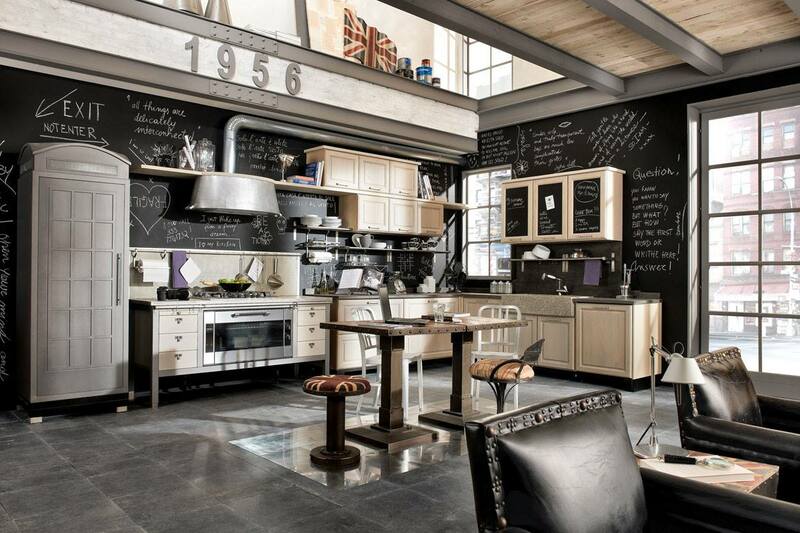 Marchi Cucine is a company with over 40 years experience, devoted to creating timeless kitchens that go beyond fads. 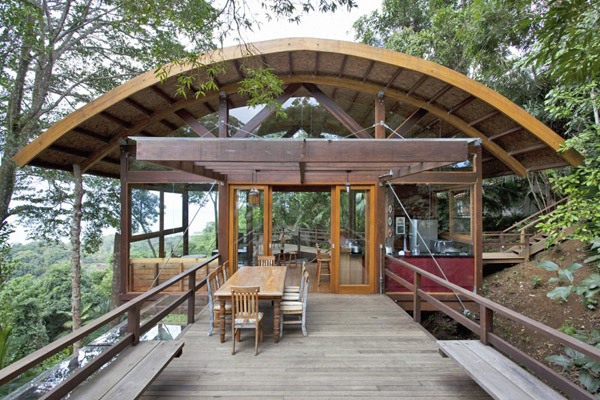 Their work is truly inspiring and their kitchen solutions are simply gorgeous. 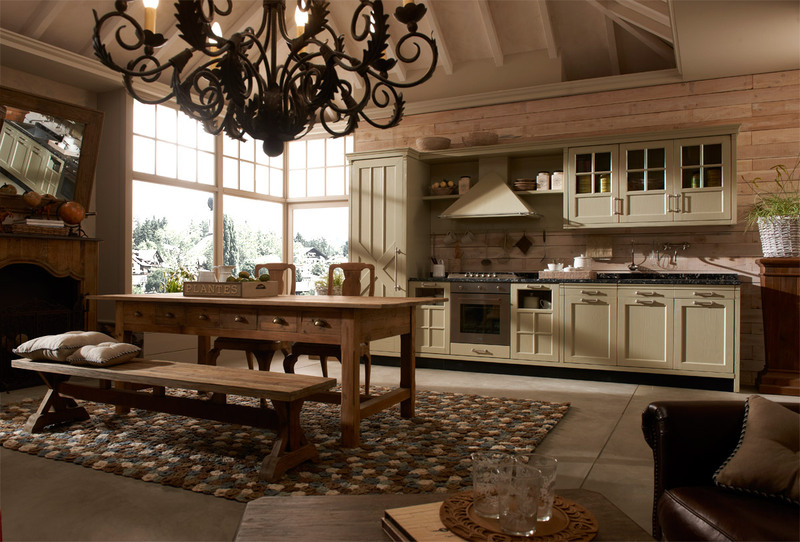 The company says that their kitchens are “designed for those who want to rediscover the pleasures of a family atmosphere, full of evocative charm, and luxuriate in moments of total peace, alone or in the company of friends”. 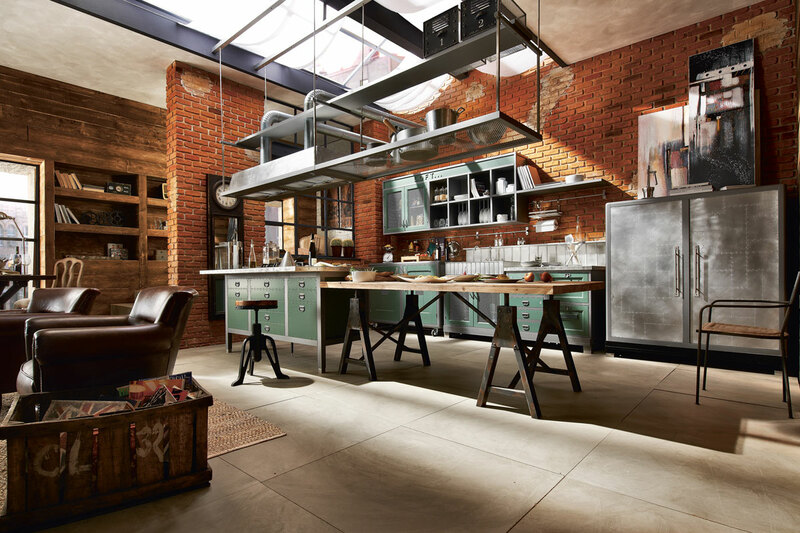 Industrial style kitchens have lately gained popularity due to the rise of the modernistic industrial interior design trend. 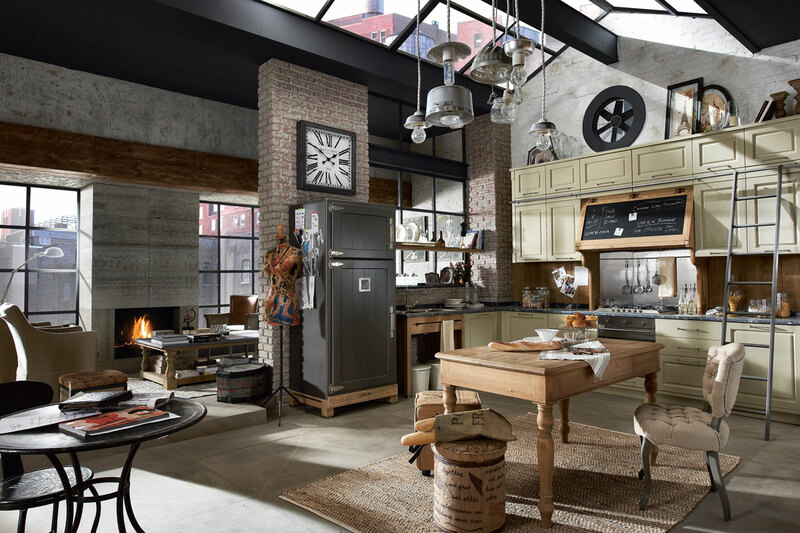 Following the characteristic features of this particular interior style, they, too, tend to display and involve industrial-style elements and materials, such as brick walls, exposed pipes, bleached wooden beams, wall-mounted rails, and various metallic items. 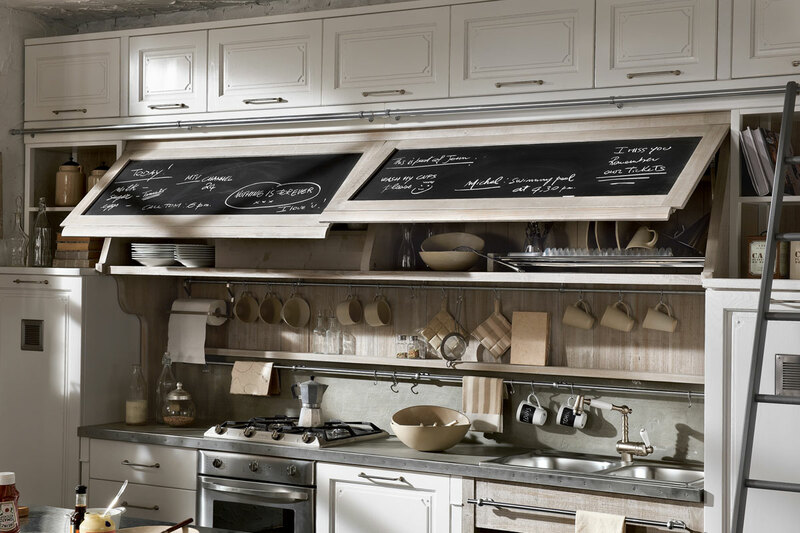 Chalkboards are present in almost every design, allowing the owners to customize the interior. 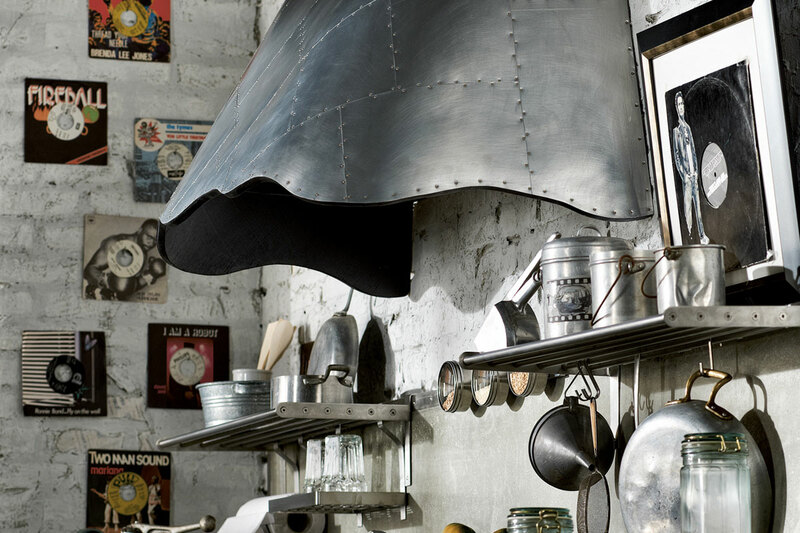 Most of the cooking utensils are conveniently arranged out of the cupboards, hanging on the wall by, or on a metallic grade right above the cooking station. 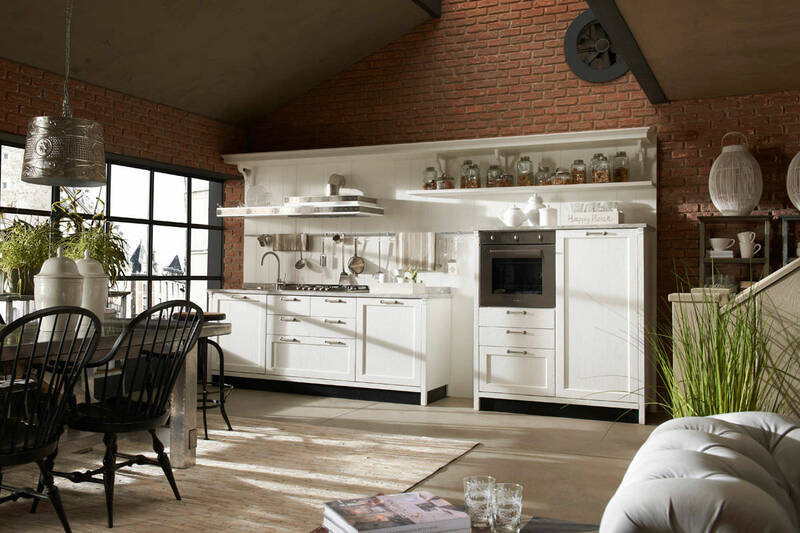 The modern-cut cabinets are complemented by modern kitchen appliances in metallic finish. The predominant color palette is white- grey-to black. 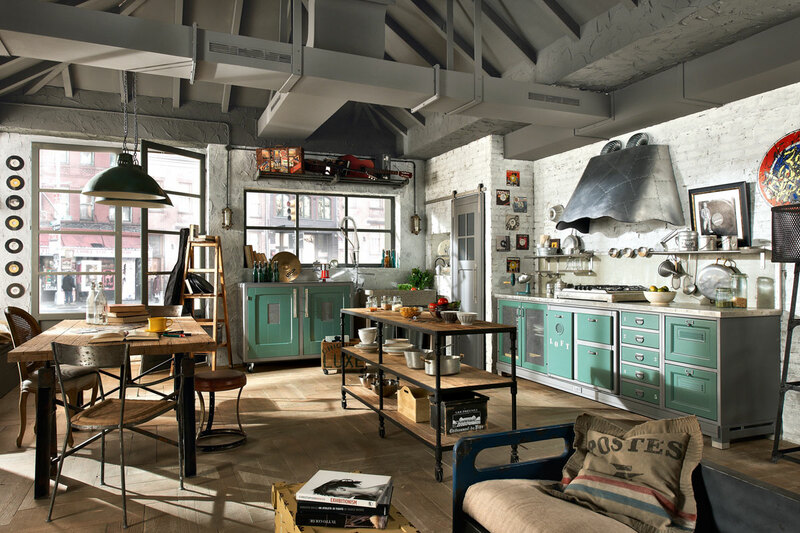 Furniture pieces, lighting and decorative elements also feature the characteristic design of the industrial interior style. 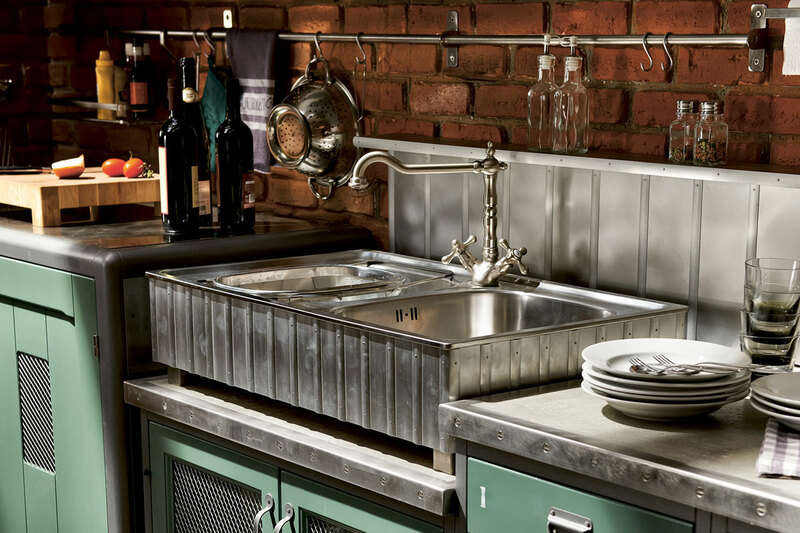 Designers have however discovered particular originality in combining the ironclad industrial style with the charm of the retro designs, and have introduced the vintage-utility style as a variant to the purely industrial style. It features chipped, white-washed wood, metro wall tiles, large retro-looking kitchen hoods, painted floorboards, and open shelves. 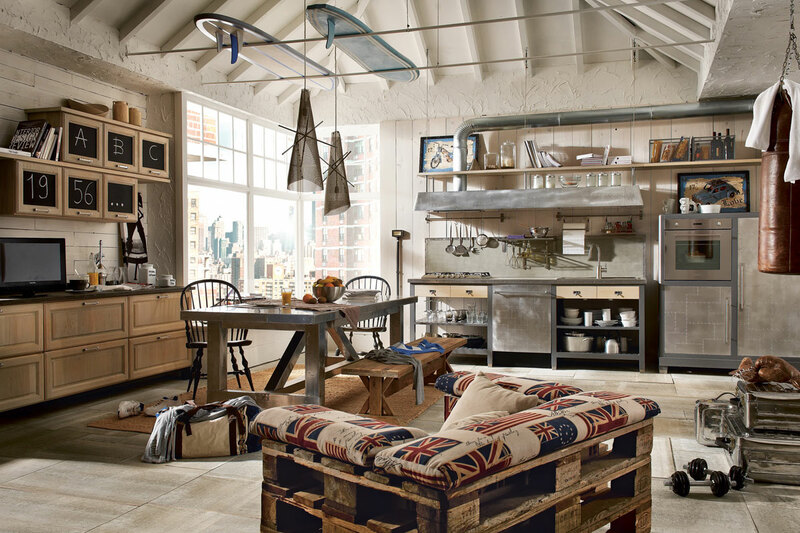 Factory lighting, free standing canteen utility chairs, electrical kitchen appliances in cute retro design, retro kitchen pots and pans, and various other mismatched antiques give the final look. 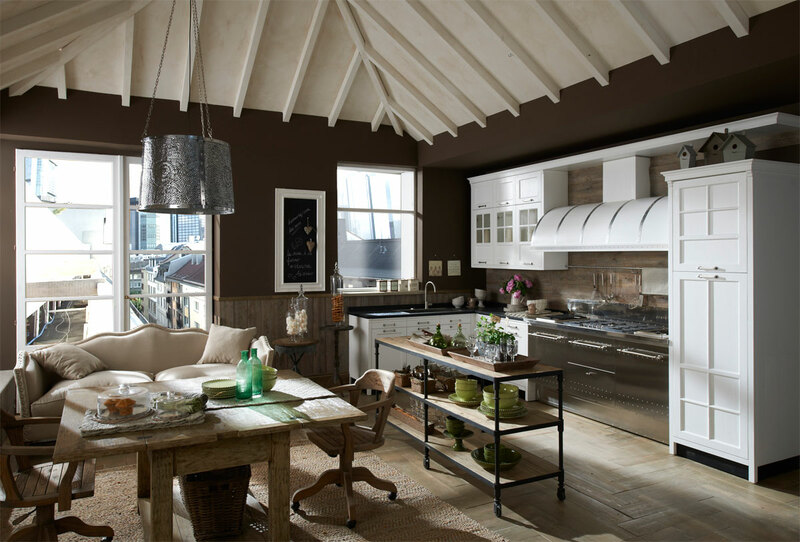 Simplicity and functionality – that’s what makes these kitchens both, cozy and family-friendly. 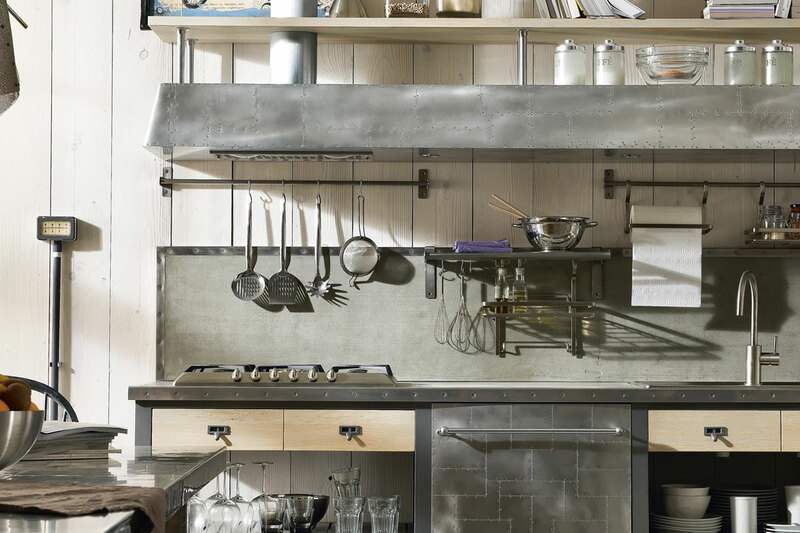 If you choose to have your kitchen in the industrial or vintage-utility style, you don’t necessarily have to spend too much money on it all. 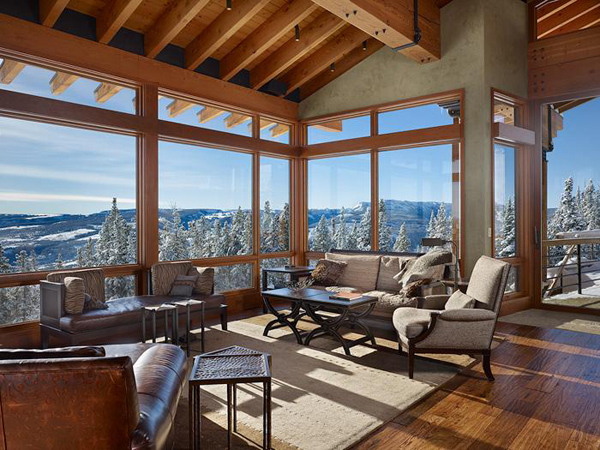 Rely on your creativity, and have in mind that a lot of the elements and items that provide the characteristic look of this particular interior style are not some top designers’ pieces. Visit Marchi Cucine’s official website here. If you’ve been lucky to bring home a long metallic rode, fix it above the kitchen island (or the dining table), and hang down oversized can lights, or a multitude of oddly sized exposed bulbs, on wires of varying length. A few wooden pallets stacked one on top of each other will make the structure of a very original couch in your industrial kitchen; just throw on a soft mattress, a few pillows, a blanket and voila! You have a cozy love seat! 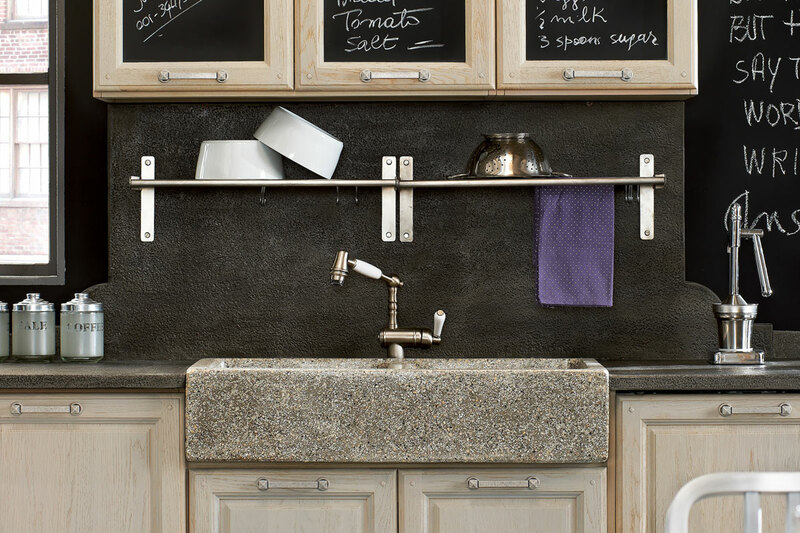 Cover the doors of a few kitchen cabinets with chalkboards and use them as memo pads or to write down a recipe, a shopping list or the dinner menu. That’s fun!